British satellite broadband firm OneWeb says it is on track to launch a commercial service in 2021 after securing $1.25bn in fresh funding. The latest round of funding included Japanese giant Softbank, Qualcomm and the Government of Rwanda and brings the total amount raised by OneWeb to £3.4bn. 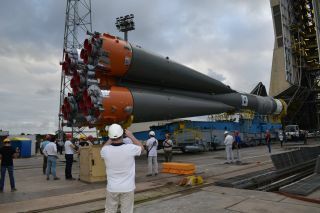 This, it says, will allow it to start the mass production of satellites following the first successful launch on 27 February. "This latest funding round, our largest to date, makes OneWeb’s service inevitable and is a vote of confidence from our core investor base in our business model and the OneWeb value proposition," said Adrian Steckel, CEO of OneWeb. OneWeb’s vision is to deliver reliable, high speed, low latency broadband to every part of the globe. This will improve rural broadband and aid businesses that need such wide coverage, such as the aviation and maritime industries. A number of organisations believe satellite is the ideal solution to connect parts of the Earth where it is impossible or uneconomical to use traditional technologies such as fibre or cellular. OneWeb hopes it will gain first mover advantage, and says the combination of its harmonised spectrum and Low Earth Orbit (LEO) constellation design will give it technological supremacy. One of the biggest criticisms of satellite technology is that the latency is too high – something that bringing the satellites closer to the Earth can help solve. Starting later this year, OneWeb will start launching more than 30 satellites at a time each month, creating an initial constellation of 650. After this initial rollout, OneWeb will add more satellites to its network to satisfy any growth in demand.